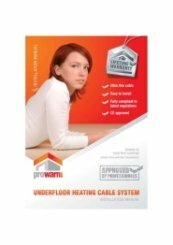 ProWarm Electric Under floor Heating cable kits provide a reliable and effective under floor heating system that can work with tiles and many other floor coverings (installation methods differ, please call us for advice). Our under floor heating loose cable systems are the ideal solution for those complicated floor areas where a mat is not suitable, our systems are all rated at 10w per linear meter, this means the closer you space the cable the higher the output. Please choose an electric under floor heating cable kit that will cover 90% of your floor area. It is best to order slightly less than you need than have too much as the cables CAN NOT be cut or shortened. 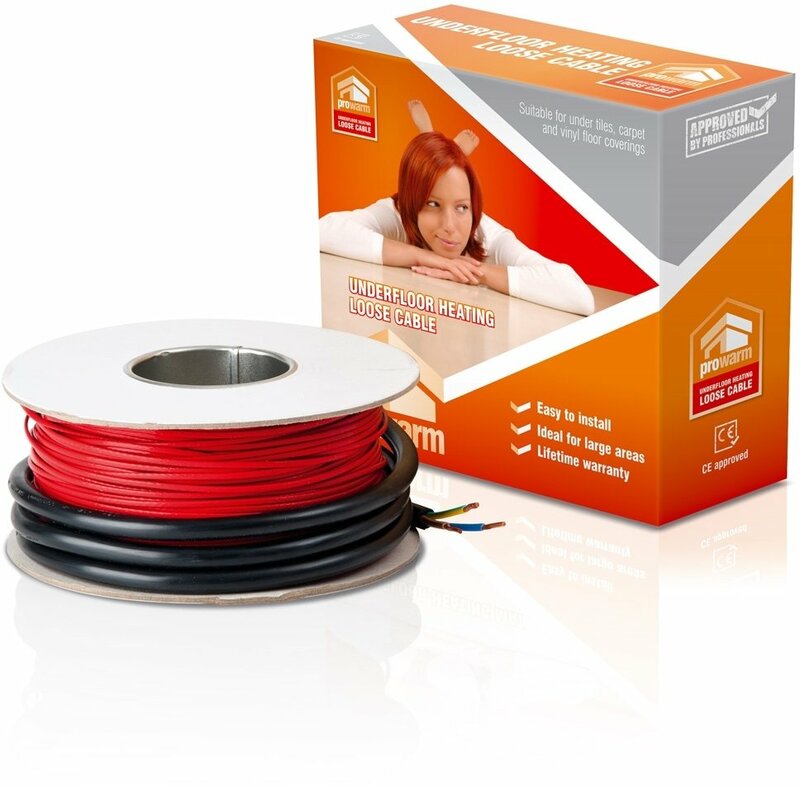 ProWarm Underfloor heating cable is a series type heating cable of with a twin conductor with cold lead of 3.0M on one side. The cable has resistance heating wire provided with a primary insulation of fluoropolymer then covered with metal shielding and final outer sheath. The final outer diameter of twin conductor cable is 3mm.